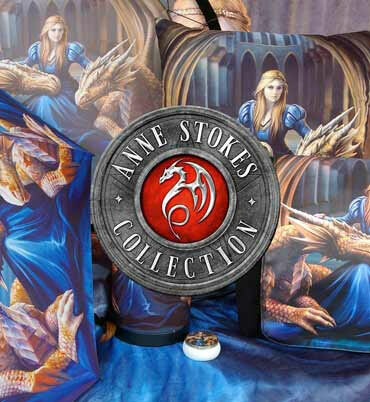 This exquisite Dragon box is available from Nemesis Now’s Premium high-quality wholesale Gothic giftware selection. This hexagonal box has Gothic arches surrounding the sides. Atop the box, a nest of large eggs lies, protectively guarded by a Sapphire, its wings raised in a threat display as it snarls upwards at an interloper. Cast in the finest resin before being carefully hand-painted, this surprisingly spacious box is perfect for any lover of mystical beasts.